Startups pop up quicker than mushrooms but we’ve whittled this year’s huge crop down to our 10 favourite companies that launched in 2014. It’s become such a go-to source for finding the best new apps, hardware and websites that it hardly seems believable that Product Hunt only launched in late 2013 and hit its stride early this year. With its iOS app, podcast and $6.1 million in Series A funding led by Andreessen Horowitz, it’s already an institution. Who knows how powerful it’ll become in 2015. 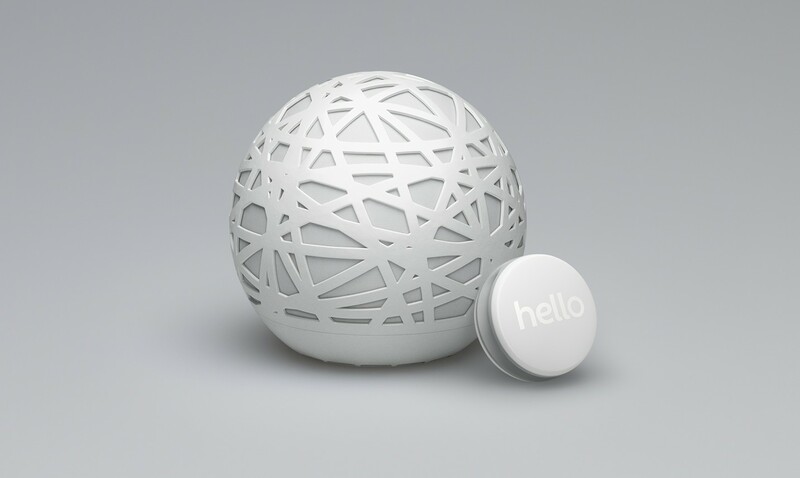 Developed by Thiel Fellow, James Proud, Hello Inc’s sleep-tracking system combines Sense, a globe that sits beside your bed, and a Sleep Pill, which clips onto your pillow. The pill tracks your movement and sends the data to Sense, which monitors temperature, light, sound and particles in the air. The system’s analysis of your sleep is then relayed to the iOS or Android app with a Smart Alarm that wakes you up at the right point in your sleep cycle. When Kwikdesk launched in November 2013, we described it as “Twitter-meets-Snapchat” but the company, created by photographer and entrepreneur Kevin Abosch, went even further in 2014. Its second product, OneOne, is an Android and iOS app that offers “private and untraceable” text messaging. Kwikdesk takes its goal of creating truly untraceable communication very seriously. OneOne encrypts and decrypts directly on your device, using secret keys that are never sent anywhere else. There are no user accounts and the company says it doesn’t send, capture or store any identifiable device information. Each channel on the app only allows two users to chat and generates its only public and private keys. In a post-Snowden world, Abosch’s concept of the Privacy First Product is definitely an appealing one. A spinout from Kenyan crowd-mapping firm Ushahidi, BRCK has designed a rugged box that can bring internet connectivity to remote areas across Africa and beyond. The $199 BRCK device works in 140 countries. You just need a 3G-enabled SIM card or a connection to the company’s vMNO to broadcast a shareable WiFi signal to up to 20 devices. It also has an external GSM antenna port to boost the signal. BRCK raised a $1.2 million seed round this summer after a successful Kickstarter campaign in 2013. Along with connectivity, BRCK’s designed to cope with unreliable power sources and rough environments. It’ll switch to inbuilt batteries for up to 8 hours if the grid goes down and can be charged via solar panel, car battery, computer or a wall socket. There’s a cloud service to manage the device remotely and an API to hook up sensors and other devices to it. Slack is a chat and collaboration app aimed at businesses which lets teams talk to each other in IRC-style channels, create private groups and send direct messages. From that description alone, it might seem crazy that the company, founded by Flickr co-founder Stewart Butterfield, is valued at $1.2 billion after raising $120 million. But it’s the sheer level of polish that’s had companies flocking to use it. Thanks to the company’s deliberately open policy to listing teams, we know that Google, Apple and Twitter all have teams using Slack to communicate about projects. It’s the level of integration with other apps like Dropbox, Google Docs and Twitter that has got users hooked. Social media posts are easily embedded, images are downloadable and there are handy features like Slackbot which can be set up to answer common questions and perform frequently needed tasks automatically. Still, it’s not quite perfect yet – we’re still waiting for threaded conversations. Cycling can be a dangerous business and London startup, Blaze, aims to make products that make it that little bit safer. Its first, the Blaze Laserlight, launched earlier this year. The waterproof unit projects an image of a bike onto the road in front of you, which aims to make cyclists much more visible, especially in places where there are usually blind spots for motorists. Blaze founder Emily Brooke worked with cyclists, statisticians, councils, bus companies and psychologists to develop the Laserlight. The company launched the Laserlight via a Kickstarter campaign and has since raised a $500,000 seed round from Index Ventures and Richard Branson’s family investment fund. When we first got a look at Spring, the iOS shopping app founded by TechStars NYC co-founder David Tisch, we decided the app’s simplicity – it takes a couple of swipes to buy a product – could be dangerous for shopaholics but super-handy for everyone else. While 2014 was the year of “Tinder for X” startups, Spring is best thought of as Instragram for e-commerce or Pinterest without the punters. Spring is US-only at the moment but we can definitely see it blowing up if it goes global in 2015. The combination of big brands – it launched with over 100 including Warby Parker, Band of Outsiders and Hugo Boss – with lifestyle images and that easy buying process could definitely give it the edge over individual brand apps or mobile sites. Perhaps best thought of as WordPress for native apps, DWNLD aims to capitalize on the trend to build native apps instead of just relying on mobile sites. It imports web content into its content management system and generates a native app based on it. Users can then customize the app with different templates, fonts and colors. 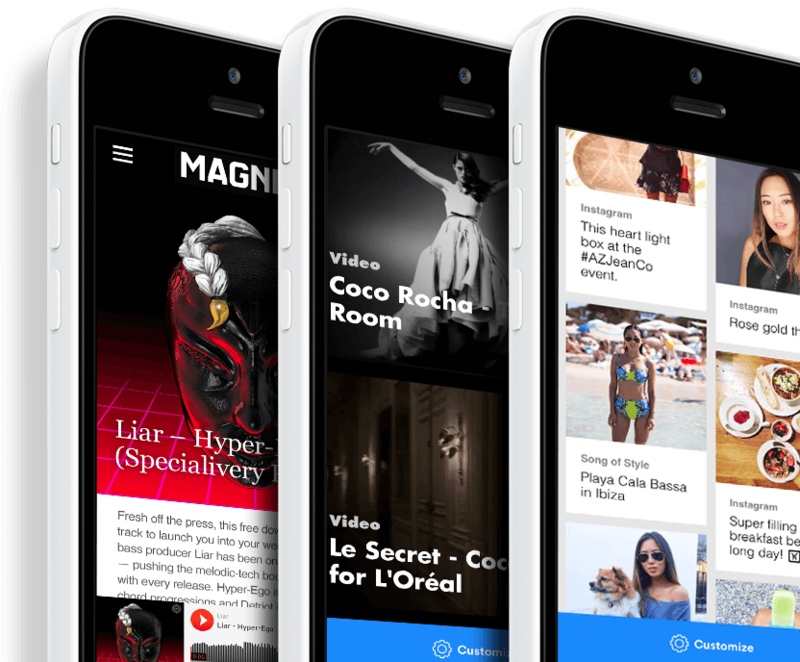 DWNLD also lets users add rich media to their apps including photos, videos, GIFs and links which display natively. Once you’re happy with the app, you can publish it to the App Store and soon to Google Play. The service makes its money by charging users to maintain their app with the standard plan starting at $15 a month. Described by Mark Suster, whose firm Upfront Ventures led a $10 million Series A investment in the firm, as “the most ambitious project I’ve seen since I became a VC,” uBeam has a plan to make truly wireless charging a reality. 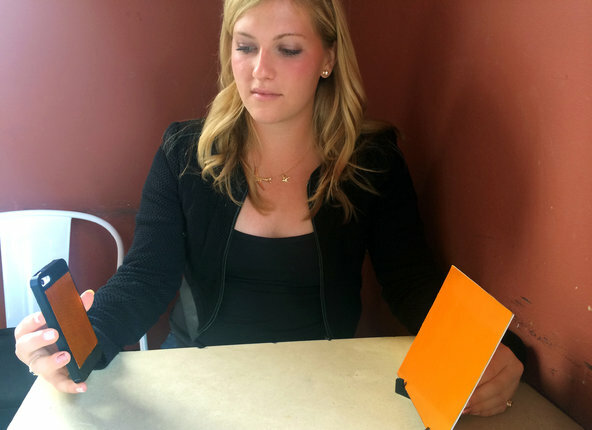 The brain child of Meredith Perry, uBeam plans to use a process called ultrasonic transduction to convert electricity into a soundwave that can be beamed from a transmitter to a sleeve on your mobile phone that will use a receiver to convert it back to electricity and charge your phone. So far the company has filed a number of patents related to its technology and has shown off a working prototype to investors. It’s aiming to have a consumer product on sale within the next two years. That’s a long time in the world of tech but for ambition alone, uBeam earns its spot on our list. Picked by our own Napier Lopez as his app of the year, Wire has managed to make waves in a world already awash with messaging apps. 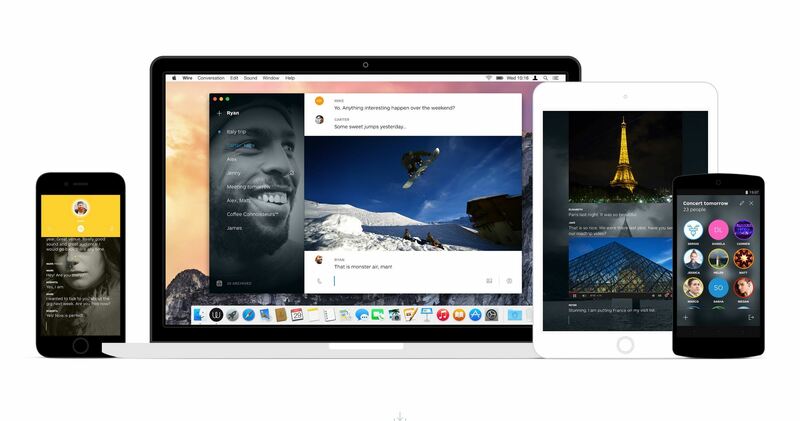 Backed by Skype co-founder Janus Friis, it boasts a slicker design than most other chat apps, does high-quality voice calls and handles media much better than practically any other option. Currently available on iOS, Android and OS X, with HTML5 and Windows versions promised soon, Wire lets images you share fill the screen, shows videos and audio clips inline and animates GIFs. The “ping” feature – Facebook’s Poke or Yo’s…um…’yo’ reborn – is both handy and irritating in equal measure. Read next: Are entrepreneurs finally closing the gender gap?